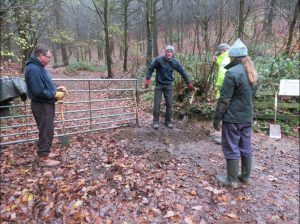 We are very pleased to announce that Raincliffe Woods Community Enterprise (RWCE) and Scarborough Conservation Volunteers (ConVols) have agreed to work in partnership. Both will continue as separate organisations but working together for our Community. 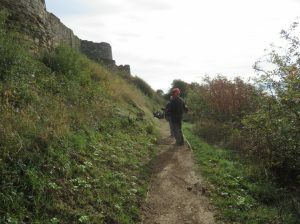 For the last 12 months both organisations have undertaken tasks together from the Castle Walls and Boardwalk to work in Raincliffe Meadow. The Partnership offers the opportunity to share resources and skills and avoid duplicating investment. Our first shared scheme will be renewing Chainsaw Skills and training new volunteers in using Chainsaws. The RWCE Board originally had a representative from the ConVols but this lapsed following a resignation. It is our wish to once again have this key organisation working with us on the Management Board. 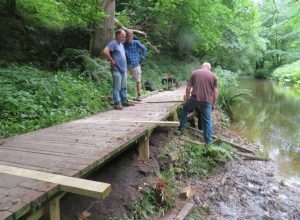 The ConVols have undertaken volunteer work for over 20 years and completed most of the construction of the Boardwalk in Forge Valley around the year 2000. 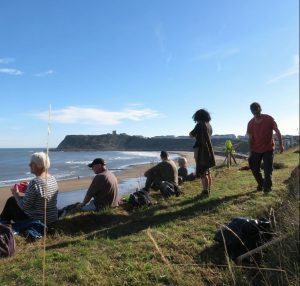 They meet every Wednesday weather permitting and transport can be arranged with a pick up point at Scarborough Railway Station at 9:30am. 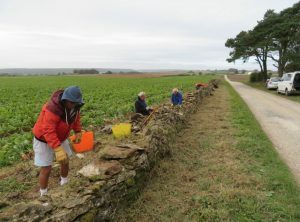 They travel as far out as Robin Hoods Bay and Filey undertaking planting trimming, clearing and restoration work including dry stone walling. Most work is undertaken around Scarborough town with the latest major task being the planting of new trees at the Millennium Wood and Armistice Wood. 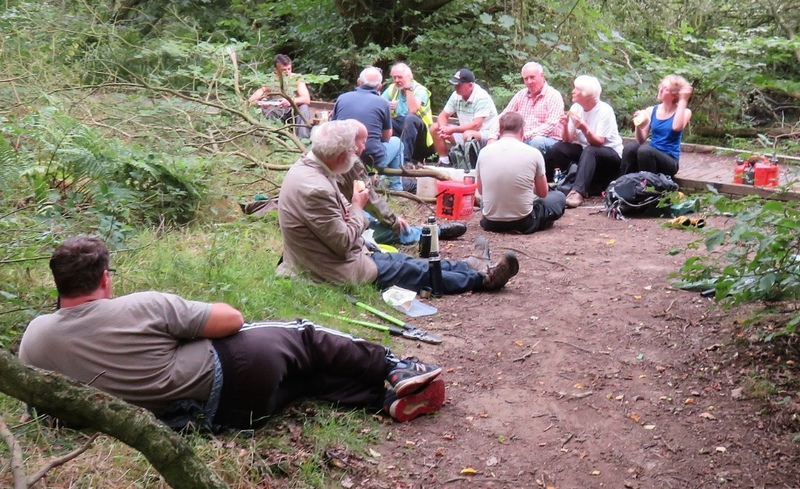 They also hold social meets on Saturdays weather and time permitting to carry out maintenance tasks and a BBQ. The ConVols have an active Facebook page where you can get up to date notifications on their plans each week. You can also view all the photographs of the work they have undertaken. If you would like to know more contact the ConVols via their Facebook page or make an enquiry through our Contact Us page and we can can put you in touch. All photos taken by Mike Spavin.